Orbital Sciences Corporation announced in May 2007 that it has received an order from SES AMERICOM for as many as five new satellites over a multi-year period. Orbital stated that SES AMERICOM has placed a firm order for two new satellites, the first designated as AMC-5R and the second a ground spare that was launched to another orbital location as a replacement satellite. Deliveries of the first two satellites are scheduled for mid- and late-2009, respectively. In addition to the two satellites that Orbital will immediately begin constructing, the contract gives SES AMERICOM the option to order up to three more identical satellites over the next few years. 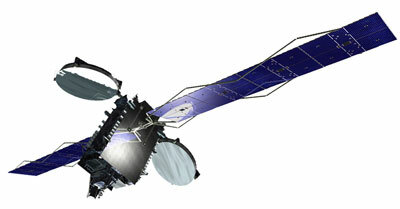 SES AMERICOM announced in April 2008 the order of a third spacecraft under the multi-satellite contract both companies announced in May 2007. Under this contract, the earlier ordered ground spare will now become AMC-4R (originally designated AMC-1R), and a new ground spare will be produced for a future use. Planned for launch in the second half of 2009 on a Zenit-3SLB, AMC-1R will have a permanent home in geosynchronous Earth orbit at 103 degrees West longitude. AMERICOM Government Services (AGS) announced in June 2008 that it has been awarded a contract by the U.S. Air Force to host an experimental sensor on board of AMC 5R (SES 2). The primary purpose of the CHIRP (Commercially Hosted Infrared Payload) experiment is to test a new type of infrared sensor from geo-synchronous altitude. The passive infrared sensor will be integrated onto the SES-2 satellite so that it can be launched into orbit and the data can then be transmitted to the ground for analysis. 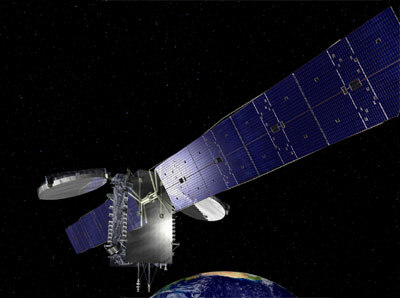 In early 2010, the satellites were renamed from AMC 4R, AMC 5R and AMC ground spare to SES 1, 2 and 3 respectively. SES 1 was configured for direct GEO insertion by the Proton-M Briz-M launch vehicle and therefore omitting the apogee engine and the oxidizer.